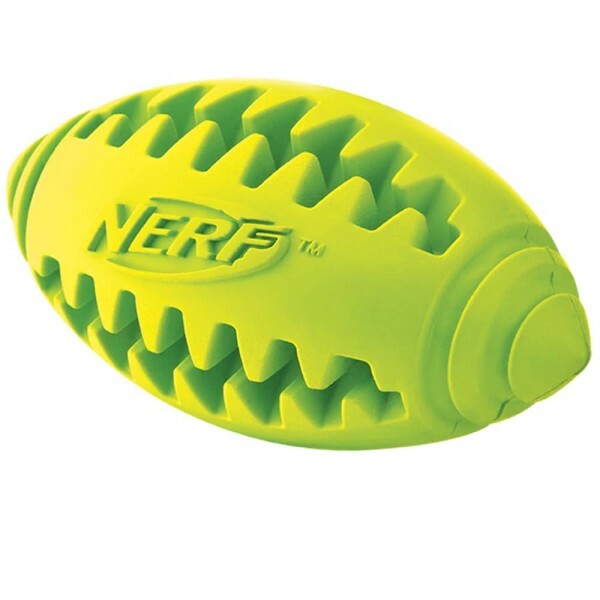 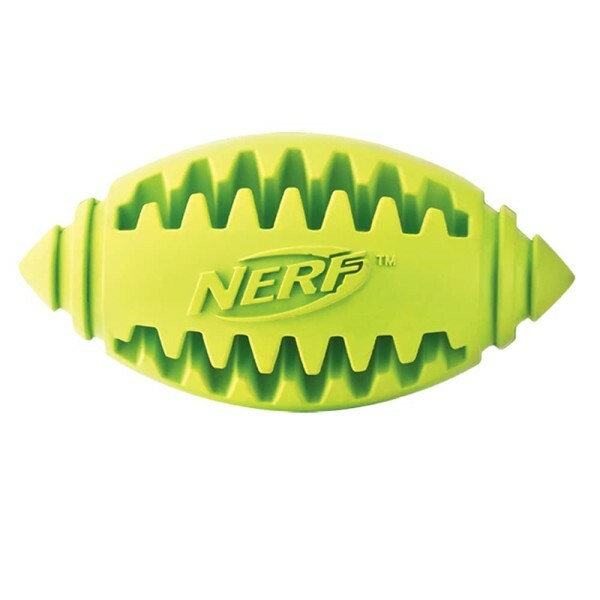 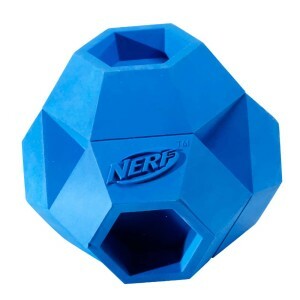 Keep your dog’s teeth healthy and clean with the NERF DOG small 3.25″ Teeth-Cleaning Football! 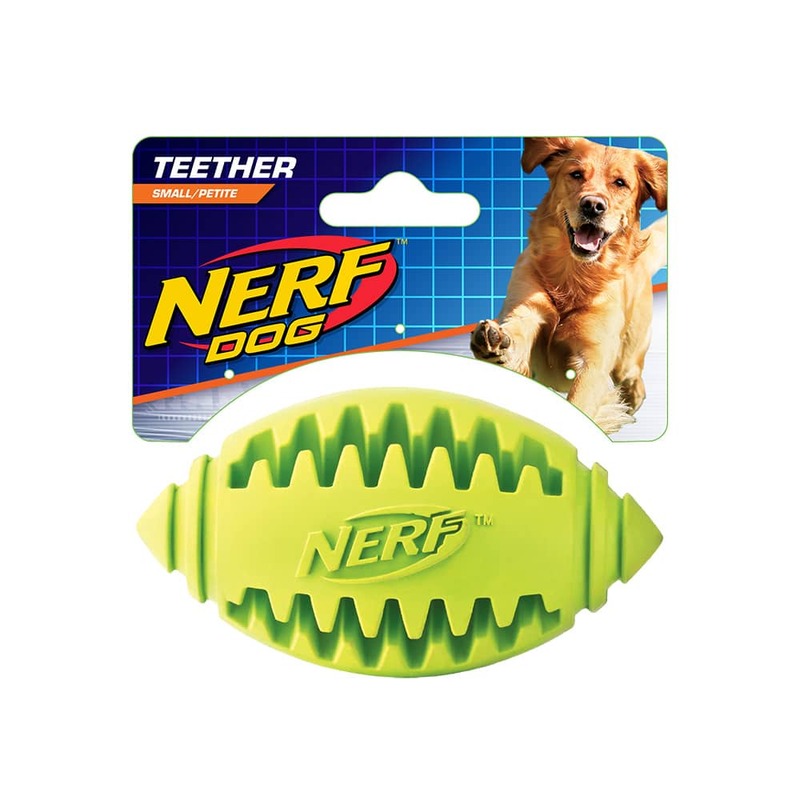 The special grooved pattern cleans teeth as dogs chew. 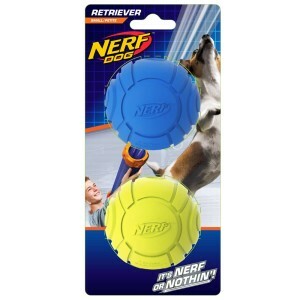 You can provide extra enticement by adding a little of your dog’s favorite sticky treat to the grooves (we recommend protein-packed peanut butter). 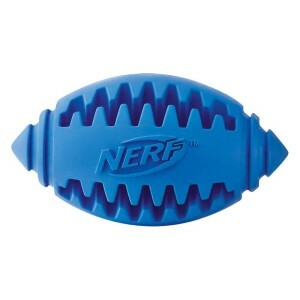 The football is one molded piece of durable rubber, making it extra strong, so it’ll stand up to extended chewing. Textured ridges make it great for toss and fetch, too! 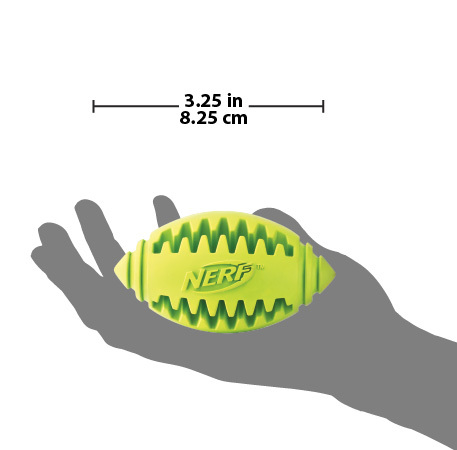 Recommended for medium to large dogs.